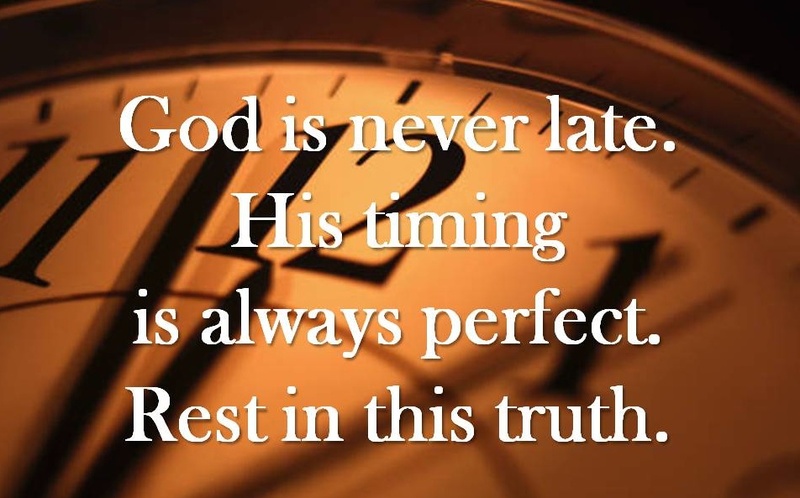 I Am never late, says the LORD. You can depend upon My promises being fulfilled. I Am not looking for an excuse not to give you what I said belongs to you. I have not deceived you nor given you any false hope. When I give you MY WORD, I keep it. I will not break covenant with you! You will embrace that which I have declared is yours and nothing will keep ME from honoring My promises to you. A promise is a promise. MY WORD IS MY WORD. MY WORD is in total agreement with My Will, and My Word will NOT be altered or watered down. It is precise and will be performed exactly as I have spoken, for MY WORK will be in complete alignment with MY WORD, says the LORD. Hold onto MY Word and do not let it go, says the LORD. Do not wallow in unbelief. For your faith pleases Me. Be steadfast and unmovable in your trust in Me at all times. For I will honor your faith. I will honor MY WORD, and I will honor those who honor ME! Be patient and wait on Me, for you are not going to be able to make things happen. You do not have to try to make My Word work for you. That is what I DO! Let ME give you the fulfillment of MY promises to you as you entrust everything to ME. For when you take matters into your own hands rather than leaving things into My hands, it only complicates things for you. I Am NOT creating unsolved mysteries for you to resolve. I Am not taking you round and round in circles or creating problems for you just so that I can solve them. I have not put you on hold or given you a detour. Your times are in My hands and as you entrust your total care to Me, you will see things unfold for you and you will embrace that which I have spoken concerning you, for I will bring it to pass in My prescribed time and way, and I will perfect that which concerns you and you will be completely furnished for every good work that I have called you to do, says the LORD. Hallelujah!!!! I receive it, Lord!!! Amen, You know me, Lord! You are my Hope and Future! Abba Father, my God, I entrust my total trust in you, you know I am still standing on your words. I know and I hear you clearly this day. I thank you for your encouraging uplifting words this day. I long to see the fulfillment in al you have spoken unto me, for I know it all will come for me. you have spoken over my life, the anointings, the giftings, everything for such a time as this. your spirit is like water to my soul. I thirst for more and more, of you, fill me to overflowing. AAAAAAAMMMEENNNN and AAAAAAAMMMEENNNN. THANK YOU HOLY SPIRIT AS I BELIEVE RECEIVE AND CLAIM THIS POWERFUL WORD DECLARATION IN THE MIGHTY NAME OF JESUS AND ALL GLORY TO GOD ALONE AAAAAAAMMMEENNNN AND AAAAAAAMMMEENNNN!